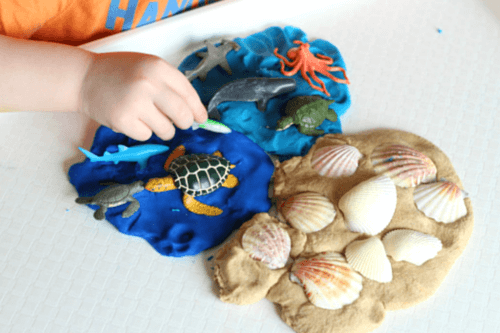 This ocean play dough invitation is a hands-on way for preschoolers to explore and learn about the ocean habitat. 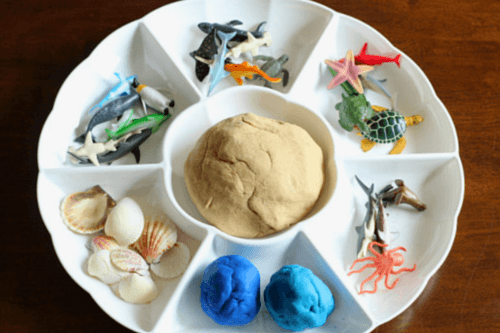 My son loved the sand play dough! 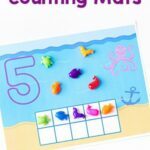 We have been enjoying lots of play dough learning activities lately. 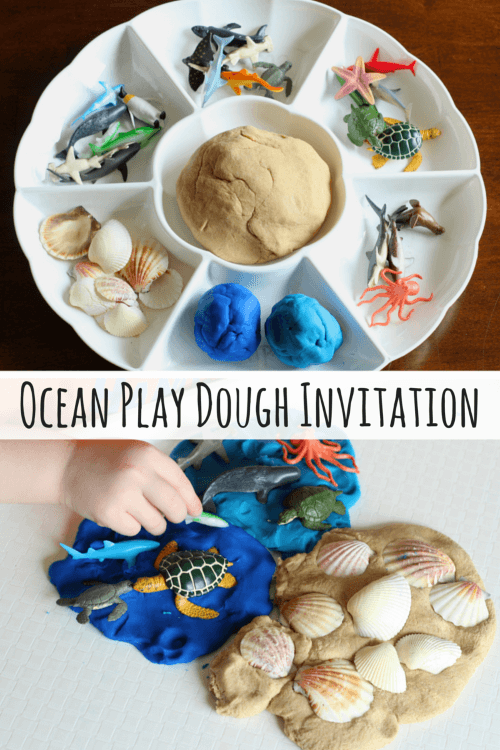 Evan really liked the pond life play dough invitation I set up for him a few weeks ago, so I thought I would try an ocean version. 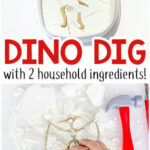 The best part of this activity was the sand play dough I made. Evan thought it was so neat. It was also super easy to make. You don’t have to cook it and you only need 4 ingredients you probably have on hand already. 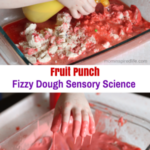 Mix all of the ingredients together and knead until it comes together. If it is too sticky, add more flour and if it is too dry, add more oil. Put all the materials out on a tray and you are ready to go. I put everything out on the table and invited Evan to play with all of the materials. 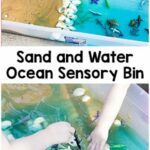 He dug right in and started adding animals to the water and the sand. We talked about which animals should go in the water and which ones could go on land. 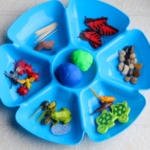 We also played with his sea turtle life cycle toys. 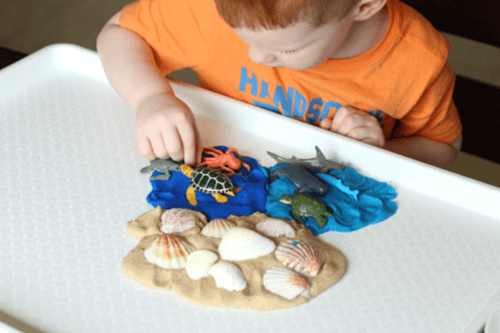 Evan really enjoyed playing with all of the animals and putting the shells in the sand. 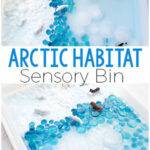 It was a great tactile exploration of the ocean habitat!